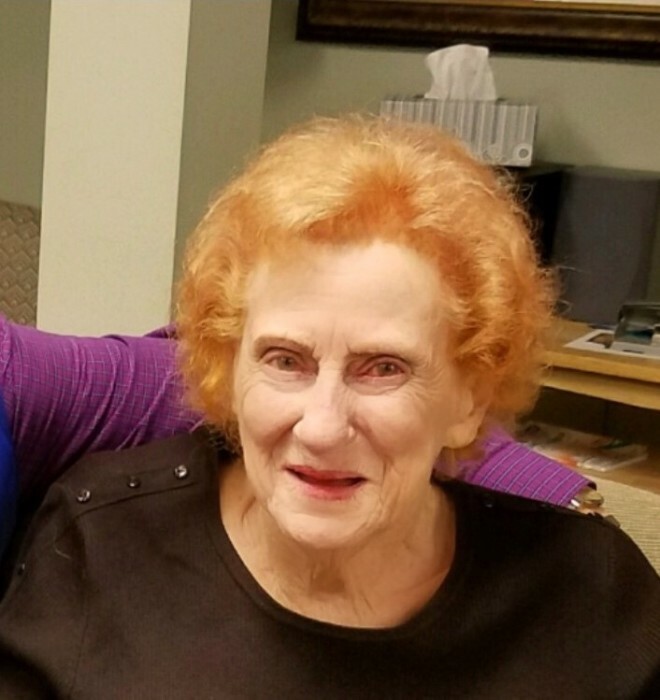 Audrey Lee Hindman Waddell, 88, passed away Sunday, November 4, 2018, after a brief illness. Born on February 13, 1930, in Armstrong County, PA, she was the daughter of the late Russell Hindman and Nell Yount Hindman Varner and the widow of retired Air Force Major Ruben Waddell. Audrey grew up on a family farm in Shay, PA, and graduated in 1947 from Kittanning (PA) High School. She met her future husband as he prepared to attend officer training school and learn how to become a pilot. They married in 1951. Audrey raised three small children as her husband deployed to temporary duty assignments around the world, becoming a “neighborhood mother” wherever they lived, finally settling in Greenville’s Belle Meade neighborhood. She was a giving person who loved her church, St. Michael’s Lutheran, and only stopped attending regularly in the past year. Audrey also loved her neighbors in the Swansgate Retirement Community. Survivors include her son, Billy Waddell of Easley, and Cynthia White Waddell; daughter, Eileen Waddell and her husband, Wim Roefs, of Columbia; daughter, Cheryl Waddell Begley and her husband, Jim Begley, of Cary, NC; two granddaughters, Clara Waddell Nunamaker and her husband, Taylor Nunamaker, of Woodruff, and Turner Waddell of Pike Road, AL; a sister-in-law, Becky Hindman of Ford City, PA; a niece and four nephews; and a longtime special friend, Arnold Darnell of Greenville. She was predeceased by her parents; her husband; her brother, Russell Hindman of Pittsburgh, PA; her sister, Lois Swank and her husband, Glenn Swank, of Mechanicsburg, PA; brother-in-law, Robert Waddell of Greenville, MS; and brother- and sister-in-law, Theron Boal and Jean Waddell Boal of Fenelton, PA.
Visitation will be held Wednesday, November 7, 2018, from 10:30 a.m. until 11:30 a.m. at St. Michael’s Lutheran Church with the funeral service to follow at 12:00 p.m. in the sanctuary. Burial will follow in Greenville Memorial Gardens. The family will gather afterward at the home of her son, 104 Oxford Ct., Easley. In lieu of flowers, memorials may be made to St. Michael’s Lutheran Church, 2619 Augusta Rd., Greenville, SC, 29605. Thomas McAfee Funeral Home, Downtown.